Ben had a very early introduction to art and photography, and was always supported in his interests. His father was a commercial photographer and teacher, his mother a painter and sculptor. Ben grew up in Colorado, in remarkable natural surroundings, and frequent hikes led him to a genuine appreciation of the interplay between light and landscape. He was aware that he wanted to develop his craft in order to portray that interplay in his photographic images. 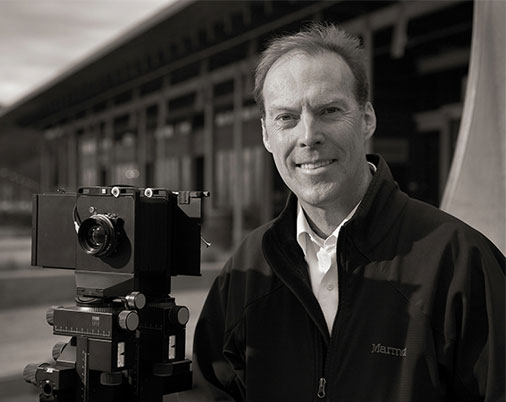 Ben’s extensive career as a photojournalist with The Seattle Times has given him the opportunity to travel throughout the United States, Asia, and Europe on assignment. He melded his sense of composition, acute technical skill, and artistic expression to create photographic essays on a wide variety of subjects. Through Ben’s passion for design and his expertise in architectural photography, Ben conveys architecture’s best to a wide audience of professional and public observers. His work is regularly showcased in many architectural books and magazines.